media update’s Aisling McCarthy speaks to Ancer about the idea behind the podcast. Considering that you work as a journalist, what made you want to focus on books when you started the Amabookabooka literary podcast? I became hooked on podcasts and fell in love with the platform. A friend of mine, Dan Dewes, and I chatted about our mutual obsession with podcasts. Dewes is a sound engineer and we talked about combining our skills and starting our own podcast. We launched Extraordinary Lives, which was a biographical series that celebrated the lives of great South Africans. The format was to ask a personality to nominate someone who had inspired them. We produced around 10 episodes of Extraordinary Lives and, although we had very positive feedback (including an email praising the show from a lord in London), we weren't really getting very many listeners. It was quite difficult to produce each episode - we had to align four people's schedules and then hope that the sound studio was free. I'd chatted to an author who told me how authors struggled to get exposure and we realised that authors have a lot of information to share. 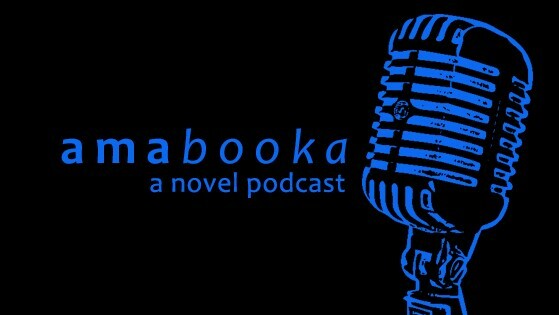 We decided to produce Amabookabooka - a quirky podcast that would help promote local authors. How did you discover the gap in the market for this kind of podcast? At the time, there weren't any author podcasts - there are a number of radio stations that have slots where they talk about literature, review new books, and interview authors but these aren't 'true' podcasts. We also realised there was a gap for quirky material. Much of South African radio is talk radio and it's far too serious. We didn't want a "seriously serious" programme. While we are not scared to tackle tough and sensitive topics, we wanted to keep our show (mostly) fun and light-hearted. We wanted authors to be able to give readers a taste of their books as well as allow readers to get to know another side of the author - we believe there was (and still is) a gap for that. We see ourselves as the Nando's of author podcasts. Why do you think it is important to discuss South African books, authors, journalists, and documentary-makers? It's critical to give authors a platform to discuss their work and ideas and tell their stories because this promotes a culture of reading and understanding and sharing of new ideas. I like to think that Amabookabooka plays a role in encouraging people to think, debate, argue, pursue knowledge - and buy books. The more knowledge people have, the more informed choices they can make. 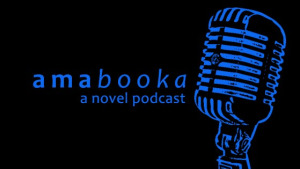 What made you want to pursue Amabookabooka as a novel podcast and not another medium? I think Amabookabooka really lends itself to the medium because we are able to play with sound. The authors read a short extract from their books, which allows readers to hear the author's real voice. We also have someone read the winning piece from the All About Writing monthly short story challenge and, of course, our signature Sound Effects Rorschach Test - where we play a series of sounds and ask the author to come up with a story about the sound or, like an audio inkblot test, tell us what they “see” when they hear the sound. It's very revealing and gives fresh insights about the author. The podcast is fast-paced and the different voices and sounds make it rich and exciting. What does podcasting offer that other mediums do not? It offers an authentic connection between the host, subjects, and audience. It gives a sense of intimacy - we're speaking directly to you. Sound is also a very powerful and personal medium - listeners can tell when a person is nervous, when a person is smiling, and can sense tension in a person's voice. On another level, podcasts are also something you can consume while you're doing something else - jogging, cooking, commuting, sitting on a plane, and driving (you really shouldn't be reading or watching TV while you are driving). Listening to an hour-long podcast as you make your trip by train or bus or taxi to work can make it go by in a flash - it's entertaining and educational. Why do you think podcasting has suddenly risen in popularity? The medium is very powerful and dynamic and lends itself to storytelling. Print is struggling and there is no investment in in-depth feature writing and I think some people are turning to podcasts to fulfil this need. The technology has improved, so you can record on affordable digital records (the sound quality is good) and sound-editing software has made it accessible for people to produce podcasts on small budgets - this has seen a rise in quality content. Also, when you subscribe to a podcast it finds you - you don't have to look for it. It comes straight to your smartphone. More and more people have access to the Internet and data, while still expensive, is getting faster. What difficulties do you face when setting up a podcast? Does Internet access affect your audience reach in South Africa? I think the main difficulty is numbers and finding a way to make it financially sustainable. Although podcasts are becoming increasingly popular, the market is still small in South Africa. Advertisers are reluctant to get behind podcasts because they don't understand the medium yet. Interested in other local podcasts doing something new with the medium? Read more in our article, Sound Africa pioneers the documentary podcast.